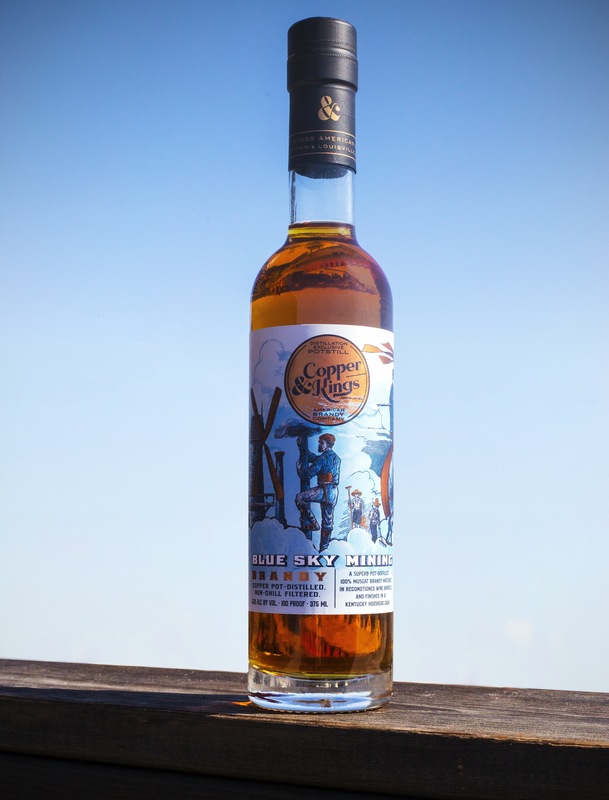 New from American Brandy producer Copper & Kings is Blue Sky Mining, a 7-year-old 100% Muscat brandy finished in a Kentucky hogshead cask. The different brandies produced by Copper & Kings are all full-bodied, flavorful spirits. They all stick to the creedo of no coloring or flavoring added. No chill filtration. Blue Sky Mining is no exception. Like I mentioned earlier, it is made from exclusively muscat grapes. And the folks at the distillery are estatic over this. The nose is very aromatic, with big floral and perfume notes. Underneath find hints of honey, vanilla bean, lemon oil, and a certain flintiness or minerality. Taste-wise, there’s lots going on here. Sweet white wine, honey, and rose petals dominate. There’s a touch of vanilla, crisp apples, a little spice and even a touch of a slight malty character. At times, the honey and floral notes make this brandy feel like a second or third cousin to Glenmorangie Astar. The finish is long, and leaves behind the fruity/floral notes from the palate. Thanks to Copper & Kings for the sample. As always, all thoughts and opinions are my own.